Join Luiz Silva of Saccaro USA and Luciana Fragali of Design Solutions Unlimited, as they bring together various perspectives on designing living spaces for the presentation of art. Luciana Fragali is a Brazilian born Architect and Interior Designer. 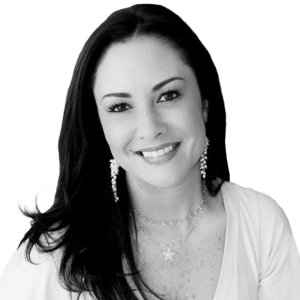 She is the president of Design Solutions, a Miami based studio. The studio’s main goal is to achieve a special bond with their clients resulting in a living space that is personalized and unique. The harmony that develops in this relationship leads to the creation of beautiful homes that reflect the lifestyle and needs of each individual or business. Combining careful listening skills with qualified professional experience and expertise, Luciana aims to achieve a perfect balance of distinctive designs that are both functional and visually pleasing. Luciana considers the design process to be ever evolving, adapting to a person’s needs, their environment and trends in the marketplace. She takes a very practical and organic approach to every project she does, constantly striving to accomplish the briefing provided by her clients. Ron Shuffield is CEO of EWM Realty International (EWM), a 51-year old real estate brokerage with 10 offices in South Florida, and an affiliate of Christie’s International Real Estate. As a part-owner of EWM since 1984, Ron sold EWM in 2003 to an affiliate of Berkshire Hathaway. 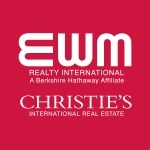 EWM has 800 associates and staff who are involved in $2.8 billion of South Florida real estate sales annually. 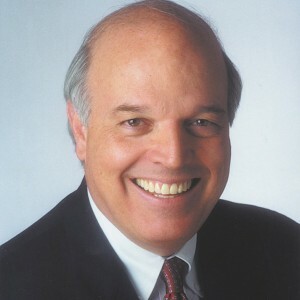 Ron has been a member of the Coral Gables Chamber of Commerce for the past 31 years and was chairman in 1992-1993. He was also a founding member of the Coral Gables Community Foundation, where he also served as chairman. He is a past recipient of the Robert B. Knight Outstanding Citizen Award for his involvement in the Coral Gables Community. Ron has been a member of the Greater Miami Chamber of Commerce since 1977, where he currently serves as a member of the Board of Governors. He is also a founding member of the Beacon Council, Miami-Dade’s economic development agency, where he currently serves as a member of the Executive Committee. He was also honored in 2003 as an inductee into the South Florida Business Hall of Fame by The Florida Council on Economic Education, in 2010 as one of Miami’s “Ultimate CEOs”, and in 2013, he was awarded the “Power Leader” award by the Greater Miami Chamber of Commerce. Ron also serves on the boards of Baptist Health South Florida and the Florida International University Foundation. Ron is a graduate of the University of Tennessee and he has also been a member of the University Baptist Church in Coral Gables since 1976, where he is a past chairman of Deacons. He and his wife have three grown children. 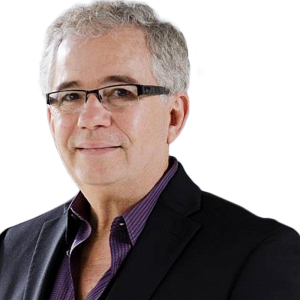 Luiz Silva founded Saccaro USA, a leading designer and manufacturer of artisanal Brazilian indoor and outdoor home furniture, in 2006. In 2011, he and wife Katia Silva brought Saccaro USA to Miami with a flagship, 12,000 square foot showroom in Midtown and in 2015 opened a second South Florida location in Doral, Fla. A native of Brazil, Silva graduated from Escola Politécnica da Universidade de São Paulo, receiving a degree in production engineering which served as a foundation for his career in the furniture and interior design industry. In Brazil, he worked in manufacturing and international trading, soon after transitioning into a role as art collector of Art Nouveau and Art Deco furniture as well as paintings from Brazilian academic painter Sérgio Ferro. In 1993, he began a successful company retailing American furniture and fabric brands including Baker Interior, Henredon Furniture and Ralph Lauren Home among others.